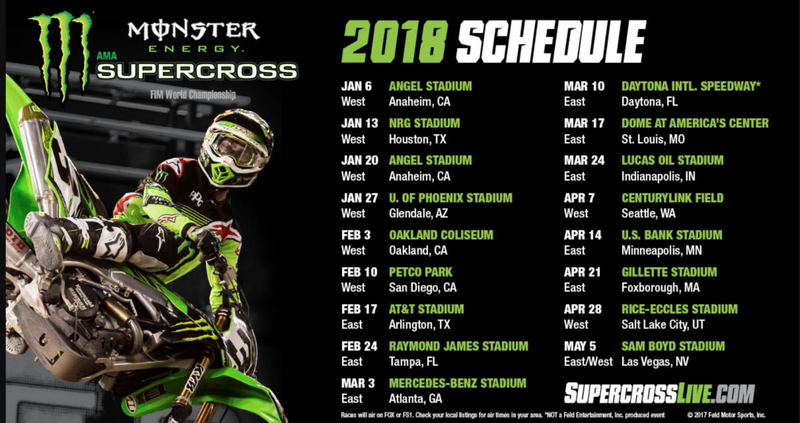 On April 7 the most elite Supercross riders will be competing in Seattle for Monster Energy AMA Supercross World Championship series at Century Link. Supercross is the most competitive and highest-profile off-road motorcycle racing championship in the world. Featuring innovative track designs and attracting impressive crowds set inside recognizable and prestigious stadiums. The world’s most elite athletes, Marvin Musquin, Ken Roczen, Eli Tomac, Cooper Webb, Jason Anderson and more battle it out for the esteemed 450SX Class crown.